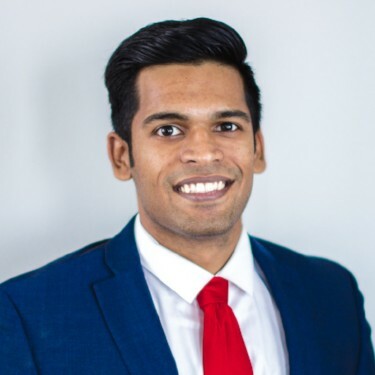 Anirban is a 2019 Southern Methodist University MBA candidate and also holds a B.S. in biomedical engineering from the University of Houston. Prior to entering his MBA program, he started his career with a medical device company specializing in cardiology products. Anirban has been an active member of the Adam Smith Society at SMU and is passionate about global health issues, business strategies, and entrepreneurship. He enjoys traveling and observing the driving economies which make up different countries. What led to your interest in and involvement with the Adam Smith Society? I remember learning about Adam Smith from high school history and economics. I am glad that I was advised by a few alumni to join the organization. After attending my first event, which was a debate about Universal Based Income, I was converted into a devoted member and looked forward to the next event. Events have been great learning opportunities for understanding common economic issues from different lenses. You have experience in medical technology. What are some recent developments in the sector that excite you? With technology moving exponentially fast, it excites me to see how it has been integrated with health care and medical sciences. It is great to see what I had learned in undergrad (at University of Houston) about biosensors are now being commonly used and sold in our market. Nanotechnology and nanomedicine are other topics of interest where I see a lot of development. It is believed that this type of technology will be a much more effective method of drug delivery to target cancer cells and defeat cancer at an earlier stage. Based on your interest in global health issues, what do you think are some of the most pressing public policy challenges regarding health care? I think the global health issues that we see and hear about in under-developed and developing economies are a small scope of the main issue. I believe the overarching problem for why a country has a failed economy is due to its quality of education. Good quality higher education should not burn a hole in your wallet, and it should be accessible to everyone. Education is a key to fixing a country's financial problems. When you educate someone, you increase their productivity. What is your favorite country that you’ve traveled to us thus far? It is hard to call it a country, yet it is a city/region that has separated itself due to its political history: Hong Kong. When I landed in Hong Kong, I was absolutely blown away by its population density. Through my travels, I learned about the city's strong banking system, not having public debt, its great legal system, and its low taxation. It makes sense why Hong Kong is ranked as No. 1 as the freest economy in the world.